AVAILABLE AT CLINTON LOCATION -- SUPER CLEAN TRUCK FOR A GREAT PRICE!!! 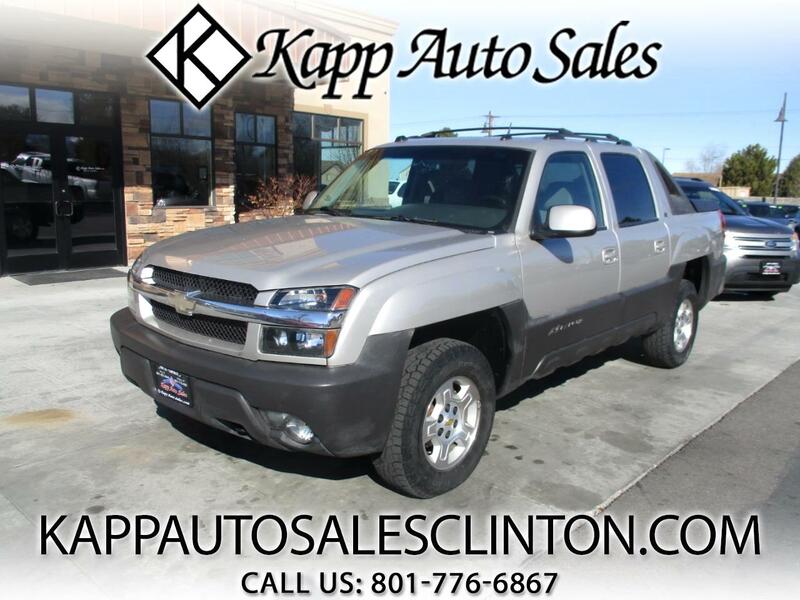 **FREE 3 MONTH/3,000 MILE WARRANTY AT LIST PRICE** CHECK OUT THIS SUPER NICE 2005 CHEVY AVALANCHE 1500 Z71 WITH ONLY 144K MILES!!! THIS TRUCK RUNS AND DRIVES GREAT AND IS AT AN AFFORDABLE PRICE!! THIS THINGS LOADED UP WITH LEATHER INTERIOR, HEATED SEATS, PWR EQUIPMENT, PWR SEATS, ADJUSTABLE PEDALS, MEMORY SEAT, 4X4, PIONEER STEREO, AUTO CLIMATE CONTROL, SUNROOF, ALLOY WHEELS, TOW PACKAGE, AND MUCH MORE!! !